Rio Grande (2:12) (key of C). Tom probably learned this tune during the time he spent in west Texas. Not only does the name refer to the river that forms the border between Texas and Mexico, but the melody is close kin to K.C. Kartchner’s “Tom Wagner,” which Kartchner describes in his book Frontier Fiddler as being named for a famous cattle ranch in the Texas Panhandle. Durang’s Hornpipe (2:41) (key of D). Nearly every old fiddler in Oklahoma played this tune. It is said to have been composed in 1785 in honor of John Durang (1768-1822), a noted American dancer and entertainer who toured with Ricketts’ Circus. Prettiest Little Girl in the County (1:18) (key of G). The Skillet Lickers recorded a distant cousin of this tune, but Tom’s lovely arrangement clearly came from another source. Rabbit Where’s Your Mammy (1:54) (key of D). This is the first tune Tom taught me to play. A number of tunes by this name found around the South are united more by the rhythm of the bowing than by their melodies. Pretty Polly Ann (1:47) (key of A). 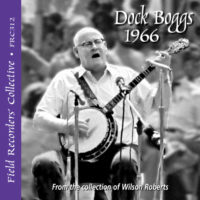 A widely played version of this tune was recorded by Arthur Smith, Eddie Stubbs, Howdy Forrester and others, but Tom’s is noticeably different from theirs and probably derives from a different source. Like them, he originally played it in AEAC# tuning, but as with other tunes he once played in discord, he changed it to standard tuning as his hearing began to fail and he had difficulty retuning his fiddle. Jan’s Tune (2:44) (key of C). Tom said this was his daughter Jan’s favorite piece. Jan Fitzgerald remembers that she had nearly mastered it on the fiddle when she was still living at home and playing music regularly with her dad. If Tom ever knew the name, he had forgotten it by the time I met him. Other sources, notably Marion Thede’s The Fiddle Book, identify it as “Oklahoma Run,” a reference to the great land runs of the late 19th century that officially opened Oklahoma Territory to white settlement. Tom’s grandmother and her family managed to stake a claim in the run that opened the Cheyenne-Arapaho reservation in 1892, and he went to live with them there after he was orphaned in 1898. 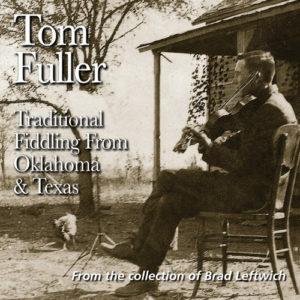 Download a transcription by Brad Leftwich of Tom Fuller’s version here. Arkansas Traveler  (0:51) (key of D). Although he doesn’t do so in the recordings here, Tom occasionally held the last note of a part for an extra beat before going on to the next part, especially in the second (high) part of the tune. Demijohn (2:03) (key of C). Demijohn is a creek west of Ardmore in Carter County, Oklahoma, not far from where Tom was born. It was a local name for a tune that is played fairly widely in Oklahoma and Missouri. Thede identifies it in her book as “Creek Nation,” and there are several other names for it as well. 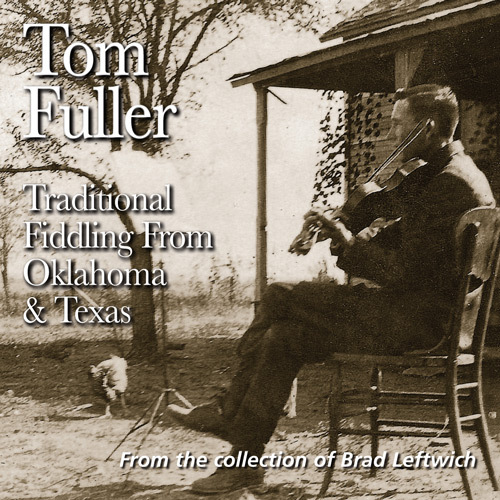 Download a transcription by Brad Leftwich of Tom Fuller’s version here. Fuller’s Reel (1:39) (key of G). This is another tune for which Tom remembered no name. I think David Winston started calling if “Fuller’s Reel,” and the name stuck. It may be an idiosyncratic version of “Jack of Diamonds” (not to be confused with the waltz-time tune also known as “Rye Whiskey”) — one part is nearly identical to the way Howard Bearden and Tom Herndon played that tune. Bearden and Herndon were from near Madill in southern Oklahoma, not far from where Tom spent his early years. Fiddlers in Oklahoma and Texas usually play “Jack of Diamonds” in the key of A, although it wasn’t uncommon for Tom to put a tune into a different key. Fullerton (1:12) (key of C). Again, a tune with no name. Tom said he learned it from an unidentified phonograph record. The only similar tune I’ve heard on a 78 rpm record is Narmour and Smith’s “Charleston #1,” which, except for one part, is still pretty different. So I put “Fuller” and “Charleston” together and named it “Fullerton.” I’m not sure I like the name, but I’ve been calling it that for so long it would be hard to change now. Eighth of January (3:03) (key of D). 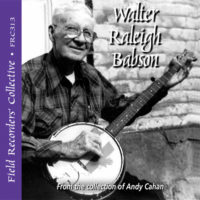 A pretty straightforward rendition of a classic fiddle tune, although in both recordings I have of him playing it, he uses a complex, repeating sequence of parts that is structured: AA BB AAB CCB, AA BB AAB CCB, etc. Great Big Taters in Sandy Land (2:02) (key of A). If Oklahoma had a state fiddle tune, this would have to be it. Almost every fiddler seems to have played it, and there are references to it going back to the earliest days in the territory. Tom’s version has a distinctive extra phrase in the high part. Walk Along John (1:09) (key of G). Arkansas fiddler Violet Hensley says the full name is “Walk Along John with Your Paper Collar On.” At contests in recent years, the second (high) part has evolved into something more akin to “Stony Point,” with extensive use of minor chords. Tom’s take on it is more archaic, and the beginning of the high part could either be interpreted as an E minor chord or not. Pass Around the Bottle (2:06) (key of D). Like “John Brown’s Body,” the drinking song associated with this tune is a parody whose melody goes back at least as far as the hymn “Canaan’s Happy Shore” in the early 1800s. Tom’s version is unusual in having an extra beat in the chorus. Flop-Eared Mule [key of C and G] (2:23). Tom could play this tune either in C and G, or in D and A (see track 24). Wagner (2:10) (key of C). Most versions of this tune are a real left-hand workout with lots of notes. I love the efficiency with which Tom works out of easy double-stop chord positions to get the rough contours of the melody, and then uses his bow to execute the details! He gets a really bouncy sound by extensive use of cross-bowing techniques. Soldiers’ Joy (2:51) (key of D). Here’s another good example of Tom’s use of cross-bowing. Listen also to the second phrase of the second (high) part: where most fiddlers end the phrase on the open A string, Tom skips all the way down to the open D string. Cindy (1:57) (key of A). Although in the southern Appalachians this tune is usually in the key of D, in Oklahoma and other western states it’s most often played in A.
Buffalo Gals (2:24) (key of F). I’ve never heard anyone else play “Buffalo Gals” in this key. 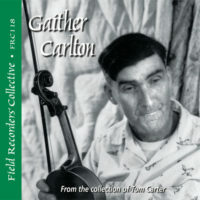 Most fiddlers play it in A or G. Tom said he changed it just because he liked the way it sounds in F. The melody he plays in the first part is also a bit unusual. Gawkey Creek  (2:22) (key of A). See notes for track 3. He plays a few notes different between this take and the earlier one. Flop-Eared Mule [key of D and A] (1:35). See notes for track 17. Turkey in the Straw (2:35) (key of G). 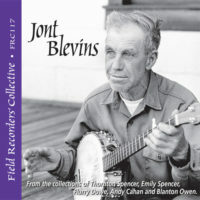 Very similar, especially in the high part, to a 1939 Lomax recording of Elmo Newcomer in Bandera County, Texas. At one time Tom could also play the tune in the key of D, but the high part required shifting into an upper position, which he didn’t feel that he could do given his substantial hearing loss. Arkansas Traveler  (1:54) (key of D). See notes for track 9. Chicken Reel (1:40) (key of D). Some nice “chicken scratch” bow work on the second part of the tune. Sally Johnson (1:09) (key of G). Like Sally Goodin, this tune has evolved into a complex, multipart tune over the course of many years as a contest staple. Tom gives us a glimpse of its origins as a simple, two-part dance tune. His high part with its strong D chord double stop is striking and unusual. Panhandle Rag (1:58) (key of D). One of Tom’s “popular” tunes, this has been attributed to Leon McAuliffe, steel guitar player for Bob Wills’ band. Tom not only recast it as a fiddle tune, but reworked it to the point that it is quite different than the original both in melody and chord structure. Rochester Schottische (1:38) (key of D). Tom didn’t actually have a name for this tune, but it’s among the schottisches most often played by old-timers. He has a nice way of short-circuiting the transition from the second part back into the first. Cheyenne Waltz (1:32) (key of D). This tune is a distant cousin of Jess Morris’ “Old Paint,” one verse of which goes “Goodbye, Old Paint, I’m leaving Cheyenne”; but given the significant differences between the two, I believe Tom learned it from some other source. Living with his grandmother’s family on their claim in the former Cheyenne-Arapaho reservation, Tom knew Cheyenne Indians as a youth and probably associated this waltz with the town of Cheyenne in the western part of Oklahoma.